As of this writing, there are 11 customer comments and 7 answered questions for the Electric Bronze Metal Café String Lights. This is not a lot of feedback for string lights so I looked at each comment and the specifics in great detail in order to give an accurate picture of these lights. After reading the customer feedback, I condensed the results into this review. I hope that this helps you when shopping for outdoor patio string lights. String lights can give a new feel and ambiance to an existing area. 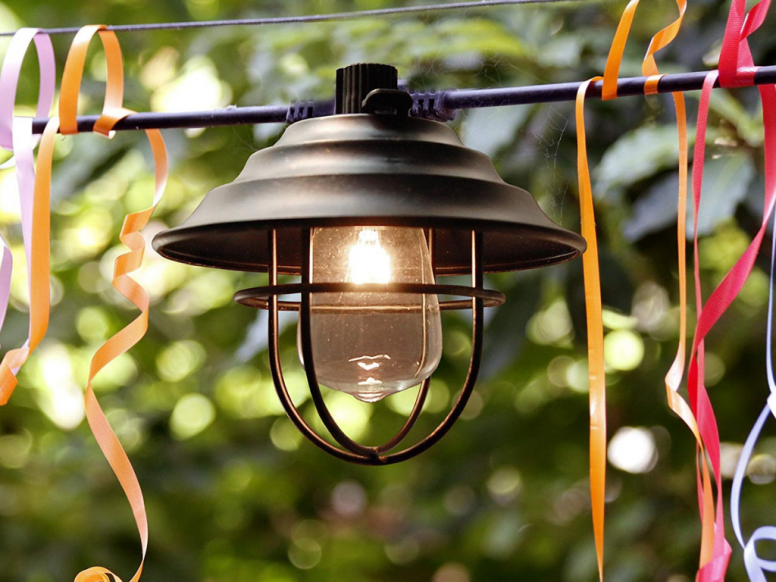 The Electric Bronze Metal Café String Lights add a warm ambiance to outdoor parties and events. These outdoor string lights are a great way to illuminate outdoor events while creating a warm and comfortable atmosphere. These string lights are suitable for indoor or outdoor use. They have end-to-end connections, which allows you to connect up to 4 cords. The metal cage adds a vintage look to this light. It has a 10 yard UL listed black cord, as well as 10 clear incandescent steady bulbs with 12 inches between each bulb. The bulbs will produce 3,000 hours of light. The Electric Bronze Metal Café String Lights look like miniature lanterns. This makes them stand out from a lot of the other string lights on the market. Some customers felt that this gave them a vintage look. If you are wanting something unique, these lights may be perfect. The cage around the bulbs make them really unique. These bulbs are made to last for 3,000 hours. For the price that is a long time that you should be able to enjoy this set of string lights. This is one of the better features of this string light set. Nothing is quite as frustrating as buying lights and having them burn out shortly after you bought them. With the Electric Bronze Metal Café String Lights, you won't have to worry about lights burning out prematurely. Most of the string lights that I've reviewed can be used both indoors and outdoors. These are also approved to be used in weather and inside. 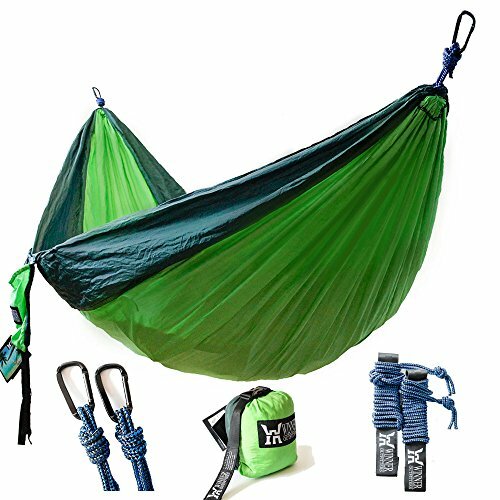 That is a nice feature because even if you buy these to use indoors, it's nice to know that you can later use them outdoors if you wish. If you are having an outdoor barbecue, you would have the option of taking down your indoor string lights and putting them outside. There is no dimmer switched on these string lights, however you can buy and add your own dimmer switch. A dimmer switch is nice because you can adjust the brightness. A customer explained, "Love these! 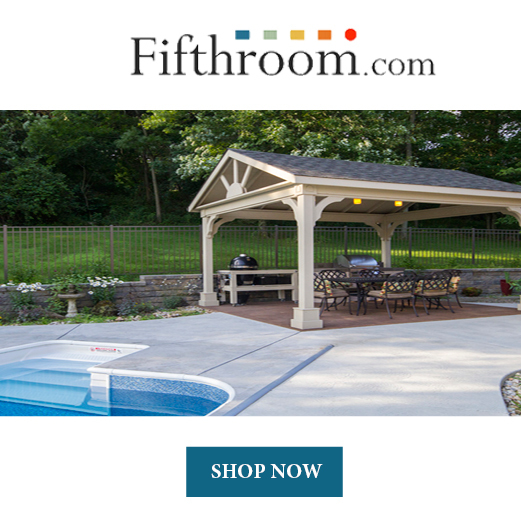 Set them up in our screened in gazebo for the summer with a dimmer switch. They provide a great deal of light and sometimes you just want to enjoy and evening with lights down low." Here is another dimmer comment left but a customer who bought these lights, "They are pretty bright. We have installed a dimmer switch on them in our outdoor gazebo. The dimmer is nearly to the off position and we can still read our iPads easily." Some string lights that I reviewed were extremely fragile. That is not the case with the Electric Bronze Metal Cafe' String Lights. According to customers this is a durable set of string lights. Here is one of the comments on durability, "We bought these lights because we live in AZ where we get heavy monsoons. Our last string of different lights broke during the monsoon so we wanted something more durable with the light bulbs protected. These lights last thru the monsoon and look fantastic. The quality is great and the light is not too bright. Would buy again and recommend." There was one complaint of the lights not measuring up to the description. Only one customer had this type of comment. I will quote the person here, "They look great. However, they are not 10' long as the specs suggest. They are 20' long. Secondly, there is not 12" between lights--there is 24". U bought 3 strings, to fill 32 ft of space, only to have the lights show up and be double the length stated in the website. Finally, one of the bulbs was broken, and it has been impossible to find the same bulbs to replace it. Very beautiful, but be mindful if the actual length you are getting-the website is incorrect." In response to not being able to find replacement bulbs, a manufacturer of the lights had this to say, "The bulbs used in these lights are Edison bulbs, C-7 incandescent lights and the shape of the bulb is ST35. They can be bought at any hardware store. " The Electric Bronze Metal Cafe' String Lights are not bright lights. Instead they will give off a soft ambiance. A customer commented this about the light intensity, "These are awesome and look great on my porch. Soft lighting and unique. Looks like little lanterns." For what you get, the Electric Bronze Metal Cafe' String Lights are priced well. They aren't super expensive, yet they aren't on the cheap side for price. 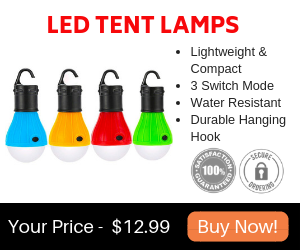 What they are, is unique so if you are wanting cute lantern string lights that are durable, the price is good. A customer had this to say about the price, "These lights match our lights rope that is under our umbrella...warm inviting light. They seem well made cage protecting bulb and can be replaced by pinching release tabs at top of hood. Good price and additional sets can be added." End to end connectors. Can connect up to 4 strands at a time. Not bright enough to light up an area well. The Electric Bronze Metal Cafe' String Lights are made for both indoor and outdoor use. These lights have end-to-end connections allowing you to connect up to 4 cords at at time. The metal cage gives these lights a vintage look. The bulbs are spaced 12 inches within each other. The bulbs are made to produce up to 3,000 hours of light. The light produced is a soft light, not a bright light. There is no dimmer switch included however you can buy a dimmer and install it to these lights if you have the know-how. The main feature that seem to make the Electric Bronze Metal Cafe' String Lights stand out from the rest is the miniature lantern look with a cage around the light bulbs. These lights are durable in comparison to a lot of the very fragile string lights on the market. There was not a whole lot of customer feedback for this item, but the majority of those leaving feedback, did leave positive feedback. Here are some top questions that I found for people considering buying the Electric Bronze Metal Café String Lights. Are these string lights bright enough to light up a kitchen? Can the bulbs be replaced with brighter ones so that I can use these lights in the kitchen? According to customers, these lights have a warm glow but it is not enough to light up a whole room. These C-7 bulbs can be replaced. The shape of the bulb is ST35 and the base and socket of the bulb is E12. As long as the bulbs fit in the socket, you should be able to replace them with a brighter bulb. Will these string lights rust? According to customers, these string lights do not rust even when left out in the snow and rain. They are made to last outdoors year round. How many of these can you string together? I like them but I am worried about suspending 4 of them together in the elements. You can string together up to 4 string lights. However, you can hang less if you wanted to. Some customers only connected a couple string lights together. But if you needed to hang 4 string lights, that is possible too.